Jennifer Wood Fitness : Hammer And Chisel Workout Available With Free Shipping Or Discounted With Shakeology. Hammer And Chisel Workout Available With Free Shipping Or Discounted With Shakeology. 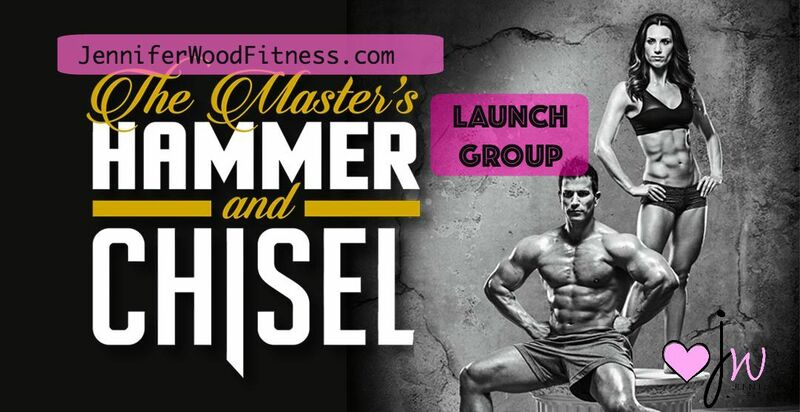 Hammer and Chisel Workout is available now & will be discounted in January 2016. *includes the base workout plus 4 additional workouts, an 8 pound medicine ball, an extra set of portion control containers & a Shakeology Shaker cup. For a bundled savings including 30 days of Shakeology and the workout program for $160 in December, 2015 click here. Contact me with your order # via email at jenniferwoodfitness@gmail.com for free Coaching and support through this program. We have a new test/launch group starting soon. Join our very first Hammer and Chisel Fitness and Nutrition Accountability group. How does the base kit differ from the deluxe Hammer and Chisel kit? see below. Is there a money back guarantee? Yes, there is a 60 day money back guarantee. There are no items that are free to keep with purchase. The products in the kit do not contain natural rubber latex that may cause severe allergic reactions. door attachment (not included in base kit). RECOMMENDED EQUIPMENT Yoga Mat or Beachbody Core Comfort Mat are helpful but not required. Chisel Endurance Increase muscular endurance and strength in this time-under-tension workout. improve coordination, and create greater stabilization. Total Body Chisel This full-body resistance workout focuses on creating lean muscle and strength. Max Hammer Strength Start with a pre-fatigued muscle, finish with a maximum lift. Increase strength, power, and muscular development.